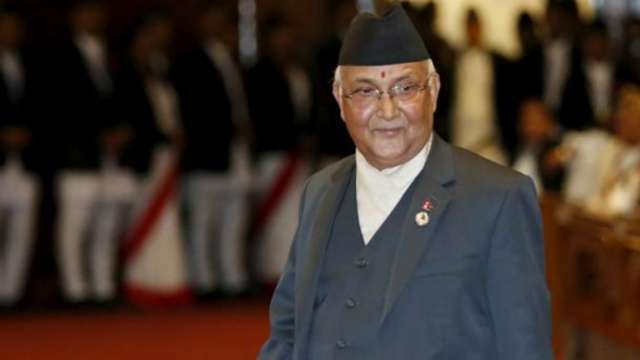 Nepal Prime Minister KP Sharma Oli on Wednesday held a meeting with former Prime Ministers to discuss his upcoming visit to India slated to begin from Friday, The Kathmandu Post reports. In the meeting held at his official residence in Baluwater on Wednesday, PM Oli took suggestions from his predecessors about the agendas to be floated during his visit to southern neighbour, PM’s press coordinator Chetan Adhikari informed. Former Prime Ministers Jhalanath Khanal, Madhav Kumar Nepal, Sher Bahadur Deuba, Pushpa Kamal Dahal, Lokendra Bahadur Chand and former Chairman of Office of Prime Minister and Council of Ministers Khil Raj Regmi were present in the meeting. Similarly, Foreign Minister Pradeep Gyawali, Eminent Persons Group members Bhesh Bahadur Thapa, Nilambar Acharya and Suryanath Upadhyay, among others, were also present in the meeting. Nepal PM Oli is set to embark on a three-day official visit to India at the invitation of Indian Prime Minister Narendra Modi. Office of Prime Minister and Council of Ministers and Ministry of Foreign Affairs are preparing the agendas for PM’s visit. Prime Minister Oli had addressed the upper and lower Houses on Tuesday to inform about the agendas of his India visit.